Anyone looking for a little holiday spirit from their favorite junk foods may want to steer clear of Reese’s tree-shaped take on their peanut butter cups. 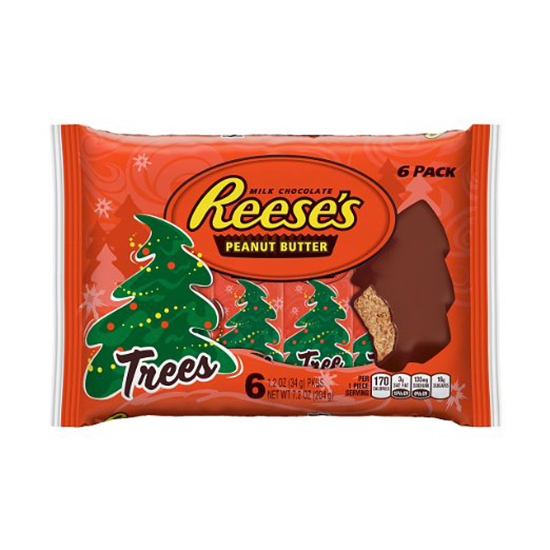 The Christmas-themed treats have been garnering a lot of negative feedback on social media from people who think Reese’s really half-assed the whole “tree shape” part of their tree-shaped candies. As CNN reports (because what else do they have to report on), many people have taken to Twitter to wonder aloud “Which part of this looks like a Christmas tree?” after unwrapping their chocolate and peanut butter candy to find what looks like little more than a slightly askew oval – a shape some have described as turd-like. Though the packaging depicts something akin to a delicious pine tree air freshener, the final product doesn’t quite live up to its billing. So just how much does a candy need to look like a tree to make people happy? For Reese’s, this question isn’t some sort of existential thought experiment. The company is actually left apologizing to those who are complaining on social media, meaning if your ideal holiday gift is a generic tweet from a well-known candy brand, take your gripes to Twitter ASAP. As for what Reese’s plans to do to the actual product to rectify the situation, that’s still yet to be seen. Here’s one idea: Just change the label from “Reese’s Peanut Butter Tree” to “Reese’s Peanut Butter Coal.” Not only does that more accurately describe what the candy looks like, it’s also probably what many of these complainers deserve in their stocking.